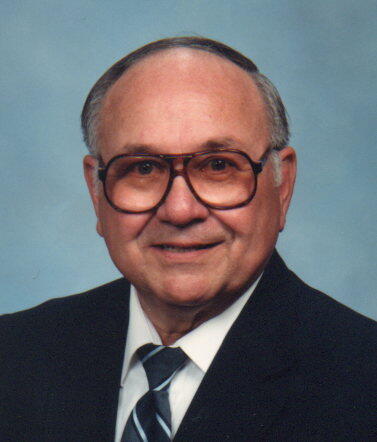 Tag Archive | "Lyle Martin"
Lyle R. “Rusty” Martin, 87 of Cedar Springs, died Saturday, April 19, 2014 at his home. He was born October 23, 1926 in Lansing, Michigan the son of Russell and Katie Martin. He was a veteran of World War II serving in the U.S. Navy. He had co-owned an auto supply store in Cedar Springs. Surviving are his wife, Doris; children, Carolyn (Bob) Schaefer, Tom Martin; stepchildren, Amy (Dan) Rothwell, Scott (Doris) French; grandchildren, Heather (Mike) Zoerhoff, Ryan (Sarah) Schaefer, Katie O’Brien, Joe and Danny Rothwell, Tyler, Tom and Tori French; great grandchildren, Ella, Michael, Taylor, Lexie, Aela, Max, Taylor, Amber and Nathan; brother, Wayne (Rosemary) Martin; sister, Alice (Leo) Gray; many nieces and nephews. He was preceded in death by his parents, a sister, and a daughter, Lynda. The family will greet friends Saturday from 10:00 am until time of service at 11:00 am at the Bliss-Witters & Pike Funeral Home, Cedar Springs. Pastor Herb VanderBilt officiating. Interment with military honors at East Nelson Cemetery. In lieu of flowers, memorials may be made to East Nelson United Methodist Church or the Leukemia & Lymphoma Society.